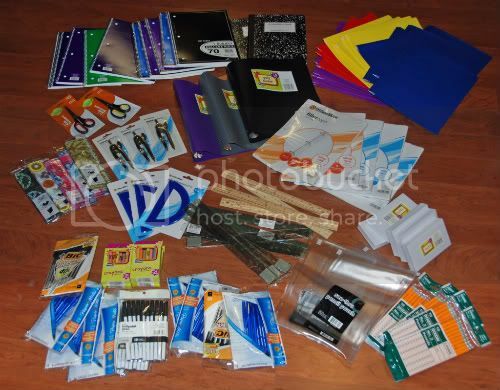 School Supply Challenge Recap – $3000 Worth Collected! Yesterday the participants in the RVA Coupon Pros School Supply Challenge gathered at Kroger to see how much we had bought with our $10 budgets, and to donate the results to the Boys & Girls Club. This year, I set my goal to collect $100 worth on supplies with my $10. I kept it simple – no rebates, and actually only used one manufacturer’s coupon. So if you think getting great deals is complicated and involves lots of coupons, this shows it doesn’t have to be! In total I made 7 trips, shopping at Office Max, Office Depot, and Kroger. I bet you’d like to know who won – The top three were Erin McGarvey ($567.74), Anjie Henley who collected ($449.25) and Sarah Metzgar ($302.78). Talk about some super couponers! Althogether, sixteen folks participated and collected $3,046.63 worth! Want to read more? Check out yesterday’s “More Bang for Your Buck” segment on NBC12! And here are individual reports from Kim, Ann, Anjie, Debbie, and Eleanor. Did i miss anyone? 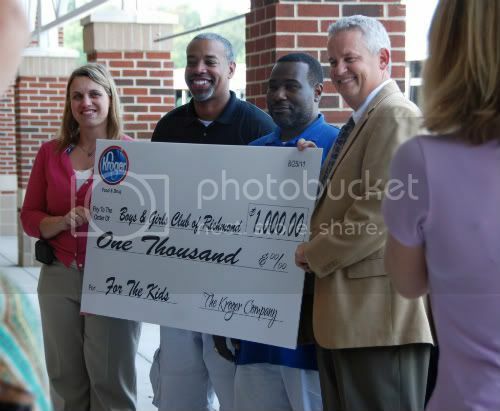 Kroger donated $1000 as well! that’s awesome! $160 spent for $3,046.63 worth of material!! Thanks for the link! I’m ready for another challenge, it was fun!